Nature lovers are will be enchanted by the experience of waking up in their luxury tent to the sight of the Swiss Alps. This small landlocked nation is steeped in rich culture and history and boasts vibrant cities filled with impressive buildings as well as charming towns and villages for visitors to explore to sample fresh local products such as cheese, bread and meats. All this is waiting to be discovered when you book a bungalow tent in a LUX-camp in Switzerland. What Makes Camping in Switzerland So Special? Switzerland is the ideal destination for those who have a love for nature and there are plenty of stunning natural attractions to explore, while the large towns and cities offer visitors an insight into the country’s rich history and culture. Most of the leading luxury camping sites in Switzerland are either located on the edge of major cities or on the edge of large lakes or other enchanting natural features. This makes exploring the country very easy and lovers of luxury camping will find everything they need right on their doorstep. This attractive mountain pass is situated in the Swiss Alps and makes a great base for fans of hiking and trekking. The luxury camping sites in this area make ideal places to stay to unwind in style in between excursions. This part of the country is famous for its large and lovely lakes, and staying at the end of the water in a luxurious bungalow tent is an experience that should not be missed. This is a popular area among outdoor sports lovers and a number of pretty hiking trails wind their way around the lakes, while other popular activities here include canoeing, kayaking and fishing. 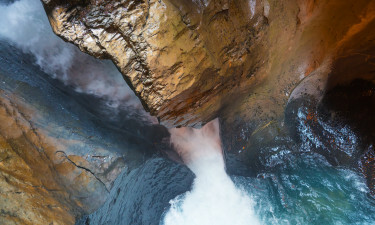 This picturesque part of the country is situated in the Bernese Highlands and is famous for its enchanting waterfalls. 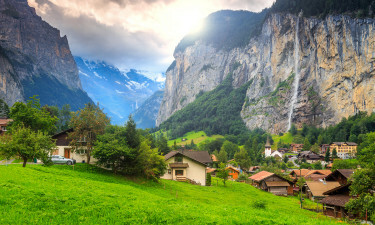 Hiking to the impressive Staubbach Falls and Trümmelbach Falls are experiences that should not be missed while staying in Lauterbrunnen, while the area also boasts a number of excellent mountain biking trails. Switzerland is famous for its mighty mountains and the Alps can be sound in the south, while the Jura are located in northwest. The highest point in the country is Dufourspitze, which is situated 4,634 metres above sea level. 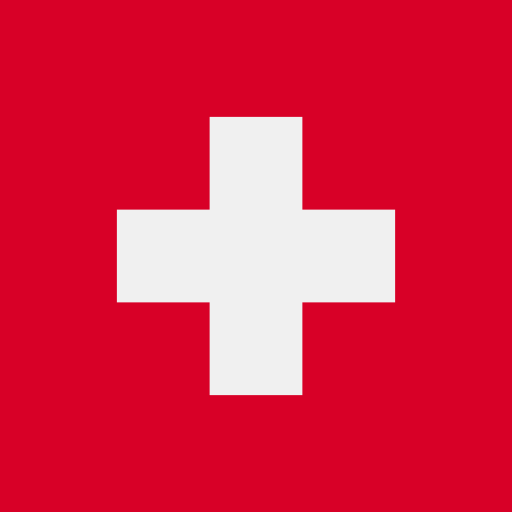 Switzerland is an entirely landlocked country and there are no beaches to be found here. However, the country does boast a large number of impressive lakes and these are popular places to go fishing and take part in a wide range of other types of aquatic activities. In the summer months, it’s really hiking and trekking which form popular pastimes in Switzerland, while the winter months attract travellers from far and wide to go skiing, snowboarding and tobogganing. 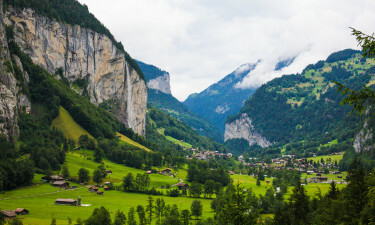 The Swiss Alps are by far the most famous attraction in Switzerland and can be found in both the north and south of the country. Other dramatic natural features that are waiting to be explored include the stunning lakes of Interlaken and Rhine Falls, which are the largest falls in the whole of Europe. 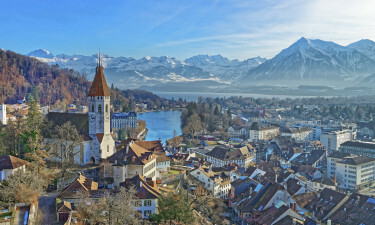 Switzerland is also blessed with several attractive cities such as Geneva, Bern and Zurich, each of which is bursting with interesting attractions. Switzerland is famous for its rich and hearty cuisine, which mainly consists of meats, cheeses, potatoes, fresh bread and fresh vegetables. Anyone with a sweet tooth will love sampling Swiss chocolate, which is also made into steaming cocoa to sip on a cold day.